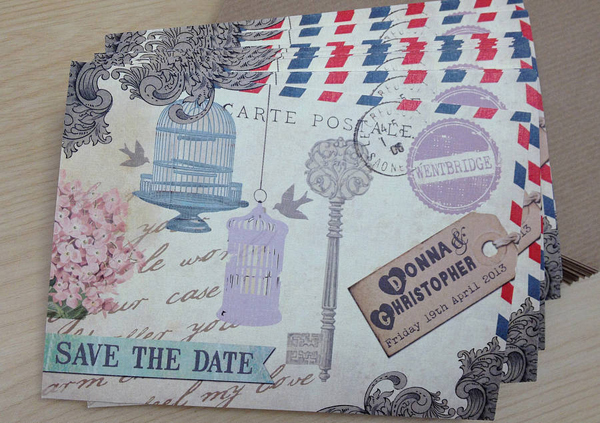 Save-the-date cards and wedding invitations are the first thing your guests will learn about your vintage wedding theme, so they are an ideal way to set the mood so that your guests know what kind of celebration to expect and the way they should dress. 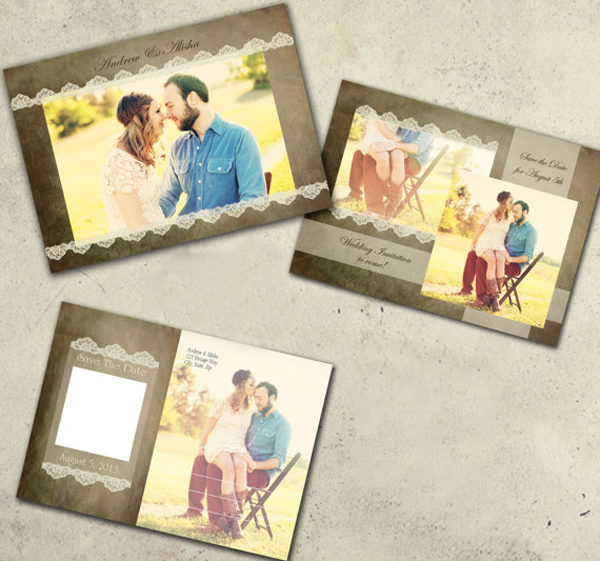 Opting for the vintage style doesn’t mean your cards should be handmade and invites. In case you plan to invite a lot of guests, the best way is going for the invitations printed in bulk, which are offered in a great variety. Besides, you could personalize them by using the online options provided by the most printers. Blooms and complicated vine patterns are strongly associated with the vintage-styled cards and invitations. Patterns should either stretch alongside the border or in the corner, which is a perfect way to accentuate information in the middle. Flowers, beads, pearls, lace and chiffon best exude the vintage feel. 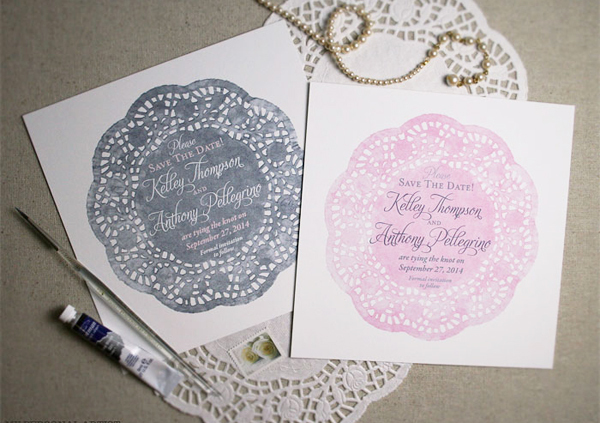 You can choose from the variety of designs of the lace template print. Besides, consider adding the DIY element like the lace bow or flower. Once you decide on the pattern or image you want to place on your card, it is time to think about the color. 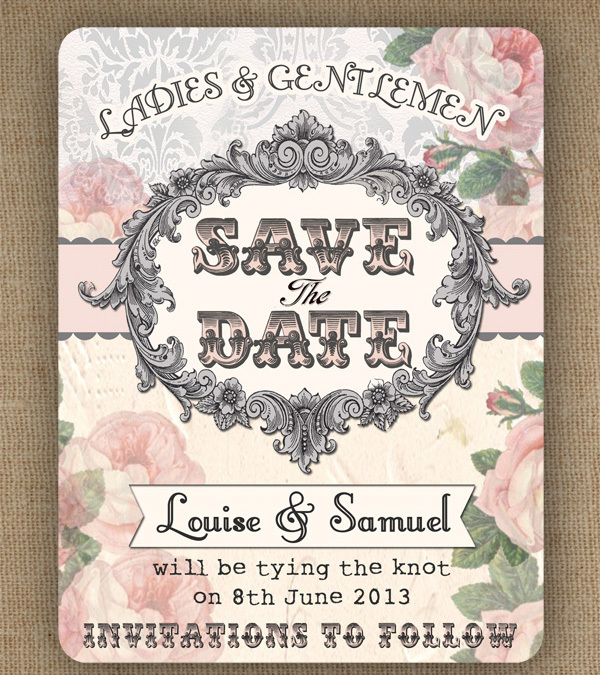 Pastel and sepia shades are the typical colors for the vintage theme as well as the classic black and white combination. Usually the vintage theme calls for the Italic and calligraphy fonts, however don’t limit yourself with them and try distinctive styles. In case you have a nice handwriting, think about writing the cards yourself. As a rule the vintage-themed cards have the old-styled images of the cars or the portrays, so why not add a personal touch to them with the photo of yourselves. Contemporary technologies allow the artificial oldening of the photo. 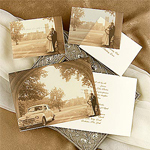 Keep in mind that the printing services will be able to print your images on to the distinct types of cards. In case you have a limited budget, try to stick to the postcard-styled ones like A5 or A6 formats. If you want to go original, consider going for the cards that look like the real postcards with your photo placed on the front and information placed on the back. The texture of the card will be based on their overall style and design. Moreover you can even go beyond the typical gloss and matt by opting for the printing on the recycled paper.